Like many of our vendors, Maria Onsel holds down a full-time job in addition to being a business owner and market vendor, but she doesn’t stop there. This past week, Maria was also part of a pop-up taco night at Pasture, where she served tacos, tapas, and her signature desserts alongside Pasture’s already stellar menu. Oh, and she’s a belly dancer. I’m not sure where she finds the time to do all these things, but I’m glad that she does, as her guava and pepperjack empanadas are a personal addiction of mine. You can find Maria at the South of the James Market part-time (9/21, 10/19, 11/2, 11/16, 11/30, 12/7) and she’ll be at the Hardywood Farmers Market every Wednesday in October! 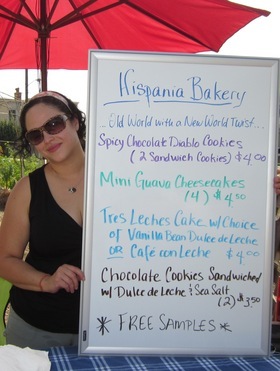 If you can’t wait for your Hispania Fix between markets (I sympathize,) you can find several of her goodies at Little House Green Grocery in Northside. Like, Share, or Comment on this post on the GrowRVA Facebook page, and you’ll be entered to win a $20 gift certificate to Hispania Bakery! 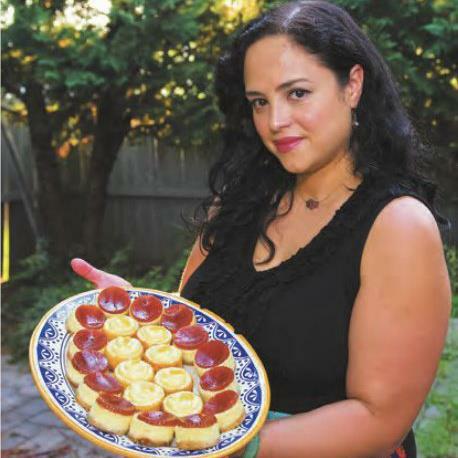 Hispania Bakery: Old World New World Twist. 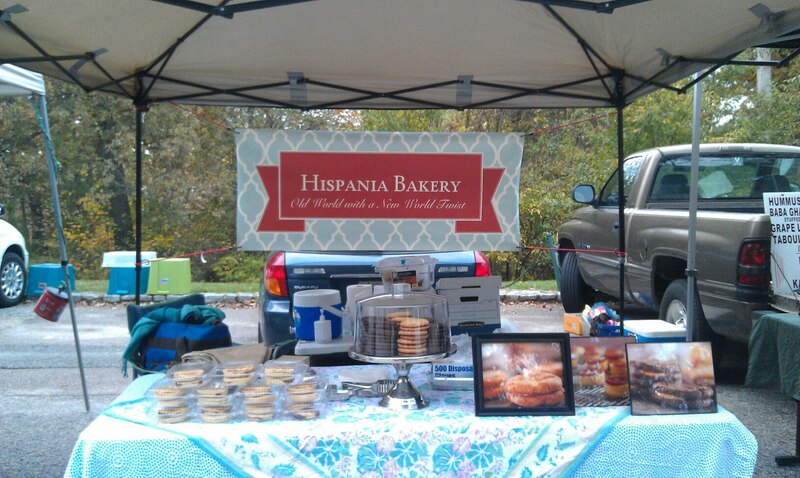 I sell baked goods that are influenced by Europe and my Hispanic heritage. I don’t make traditional pastries, but instead try to make products that are familiar, yet unusual. My specialty is filled cookies. They are filled with either spicy dark chocolate ganache or home-made Dulce de Leche & sea salt. The first items to sell out on market day however, are the Pepper Jack-Guava Empanadas. Customers really like the spicy-sweet-savory combination and typically eat them for breakfast. I love how adventurous market customers are in trying new flavors. I’ve been in business since July 2011. I’m a one-woman operation (baker, sales, accountant, and dishwasher). I run this business as well as holding down a full-time job. I trade & buy from various market vendors. My regular trades/purchases are from Alfredo’s Honey, Norwood Cottage Bakery, Origins Farm, Pizza Tonight, Salt Pork, & Simply Savory. When its time to buy a gift or something special, I check out Anna’s Art, Carolyn Fischetti, Jane Fancher pottery, MA’s Madhouse, or Artwork by Andrea. The beginning of market is always a flurry of activity loading, unloading, moving the car, setting up, putting aside pre-orders, etc. Hopefully I’ll get a sip of coffee and a bite of breakfast before the rush. My regular customers tend to come early and I enjoy catching up with them. Mostly I’m giving out samples, describing my products, and selling. If I’m not working alone, I take a break to shop, get lunch, and chat with the other vendors. Many vendors have become friends. If there’s product leftover at the end, I trade some more. I’m up very late baking the night before, so once I’m packed up, I go home and get back in bed! I’ll have to try the pepper jack and gave empanadas next time. The mini cheesecakes are addicting! Next Next post: Meet Your Artisan #16: Do the Jerk-ey!